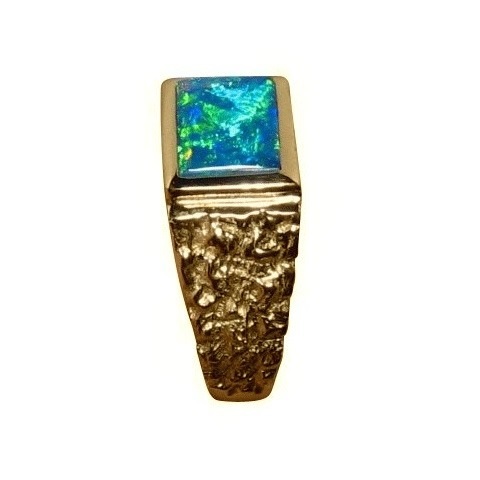 Man’s 14k Gold Ring with a Textured Band and one Bright Rectangle Opal. Made to Order in your Ring Size and Gold Color preference. 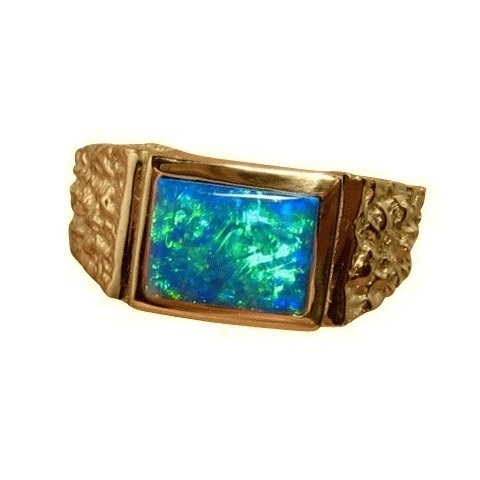 Quality Opal Ring for Men. 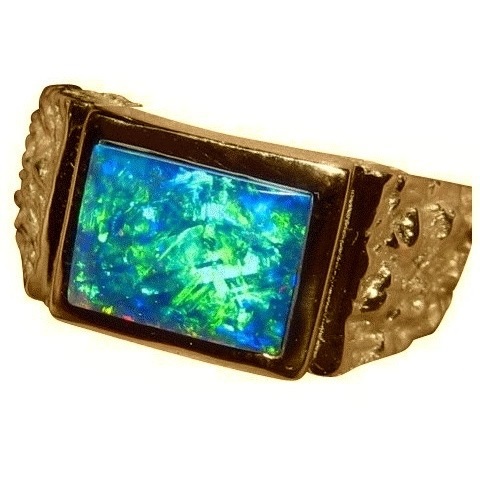 Wide Band Ring with a Textured Band and one Rectangle Cut Lightning Ridge Crystal Opal. This ring has been sold however you can inquire about having one Made to Order through the ask a question link above.